Ghanaian actress Joselyn Dumas called out the organizers of 3Music Awards today for not paying her for her service rendered as an MC at the maiden edition of the 3Music Awards. She took to her Twitter to call out the Award Ceremony organizers. She revealed that she would not hear out any stories from the organizers since it has taken them too long to complete their end of the bargain. She added that her calls have not been attended to, almost four months after the maiden edition of the awards show which took place at the Fantasy Dome, Accra. According to the actress, she has had to resort to Twitter to voice out her plea since attempts to reach the right front have proved futile. It has become a norm in our industry, where event organizers hire people for their talents and do not pay them. SAMINI! The Ghanaian music icon was at his best once again when he mounted the stage last Saturday at the Cape Coast Jubilee Park to perform to the rather huge crowd that turned up to the Vodafone Ghana Music Awards Nominees Jam last Friday. Up to the point when he showed up on stage to take his turn, there had been good, not too good and, quite frankly, some boring performances from the artistes who stormed the Central regional capital for the purpose. 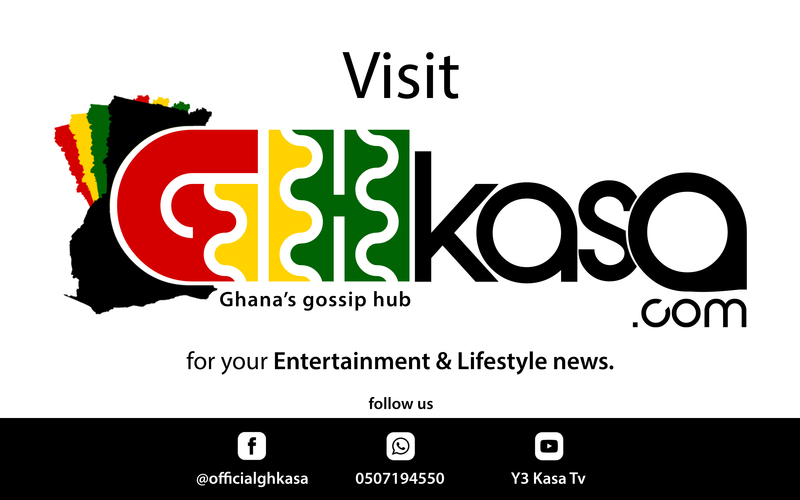 Gospel stars Gifty Osei aka Empress One and Patience Nyarko both had a good show to start the whole caboodle, King Promise gave a very promising performance, the Unsung nominees gave a good account of themselves and why they deserve the votes; Kelvyn Bwoy and Real MC stood out for me, and home boy Teephlow had the fans baying for him to show up and when he did, he delivered. KiDi had an okay performance and Kofi Kinaata, who is proving to be a very good live performer, showed it to the delight of the fans. R2Bees, what can I say than they were just R2bees:Just singing their songs on stage without any real great performance, but last year’s winner of the Unsung category, Kuami Eugene was awesome on that stage and the audience loved his show. When it was the turn of Samini, the crowd would know what they had coming. This is an artiste who would seize every opportunity to give out his best. Thus just as he did at Sunyani during the previous year’s VGMA Nominees Jam, he mounted the stage and delivered a five-star performance. He started slowly as always, then started to increase the tempo and then ended on a crescendo! The morning after the VGMA Nominees Jam was a very sombre one as the entertainment industry and pretty much the whole country gathered to mourn Priscilla Opoku Kwarteng aka Ebony Reigns. For more than a month, her works and her demise were the talk of the town and Saturday was the day to see her off. In the evening of the same day, the maiden edition of the 3Music Awards took place at the newly constructed Fantasy Dome at the Trade Fair Site. This awards show has been spoken about for a while and the D-day last Saturday gave another opportunity for the entertainment industry to meet and show class. The following are some of my observations from the awards show. ORGANISERS: Sadiq Abdulai Abu is the CEO of 3Music Networks. He is the brain behind 3Music, the music and urban news related show that airs on TV3 every weekday. Sadiq conceived the idea of 3Music Awards and together with his team put it together, had a partnership with TV3 and others. Structure wise, there is a board that was put together by Sadiq and team and this board sat to look at selection, categorisation, nominations and then gave direction on how to go about making 3Music Awards great. The board also voted along with the public to choose the eventual winners. RED CARPET: The red carpet has become a huge part of popular, and even sometimes not too popular shows. The one at 3Music Awards was manned (or should I say womanned, in this day of feminist activism) by 3FM’s Miriam Osei-Agyeman and host of the 3Music show on TV3, Chris Kata. It was the maiden awards and as much as you expected excellence from the red carpet you also knew they would mess up a bit. I saw posts about Chris Kata’s performance and how it could be better. So although it was not a perfect start, the red carpet did have all the people it needed to have walk on it and interact with the two hosts. VENUE AND ARRANGEMENT: To be honest, I was skeptical about the readiness of the Fantasy Dome for the 3Music Awards. I mean here was a venue that wasn’t ready, but Sadiq had banked his hopes on it and was confident it would be ready in time for the show. In the end, a lot of quick work had to be done and thankfully it was ready! This was a big venue. The biggest venue for events in the nation’s capital today. Indeed, this is way bigger than the Dome at the Accra International Conference Centre; if I am not lying, it should be about four times the size of the Dome that Fennec used to manage. I was of the view that for a maiden show, the AICC or National Theatre would be good, as it would give that tightness needed to give a good view on live television. Sadiq however thought otherwise and he followed his conviction to the letter. To be honest, the attendance was very appreciable, even for a first show, as about a third of the Dome was filled with fans of the nominees, predominantly Shatta Wale and Stonebwoy. The arrangement of both a dinner setting at the front for the VIP and a theatre setting at the back for ordinary ticket holders almost worked to perfection, but for the lack of barricade to separate the two spaces. In the end it didn’t really matter which ticket one held. AWARDS: When it comes to awards ceremonies it is difficult to say whether a nominee deserves what he/she wins or not. Especially so in non-peer-review awards where the public has a stake in determining the winners. I have always said in the case of VGMA that once a person is nominated, we cannot argue why they win on the night. I hold a similar view here. Those who deserved to win won, at least according to the different voting blocks. Many were foaming at the mouth that Kumi Guitar won Highlife Artiste of the Year ahead of Wutah, for example. Well, Kumi was nominated and folks were asked to vote and he won. Deal with it. There were other awards that would be controversial as well. For instance, Shatta Wale sees himself as the be all and end all when it comes to Dancehall in Ghana and therefore no one should win that particular award. Well, Stonebwoy won it and I am sure the former won’t be happy, despite winning the Best Male Artiste award. I think overall, those who deserved won it and though there may be a few surprises on the night, it is just due to the way the voting went. Fancy Gadam and Maccasio both winning in their respective categories of Best Collaboration and Breakout Artiste says a lot about their seriousness and how they can marshal their fans to vote for them. TECHNICAL: I think the issues about technical could be better and Sadiq and his team would take note for future editions. Many viewers on television complained about the lighting from the auditorium and that is something to be looked at. Producing events for TV has been one of our weakest areas even with VGMA and we need to improve on it tremendously. Sound was good in the auditorium, but for the little echo that reverberated across the room. I also thought there were too many movements and it worried some of the people who had turned up to enjoy themselves. EMCEEING: How about emceeing? I don’t think the combination of Jocelyn Dumas and D-Black worked. Not one bit. They didn’t gel and it was obvious they both could have been somewhere else than on that awesomely designed and executed stage. Kudos to Sadiq and Yahya for that stage though, it was impressive. PERFORMANCES: I think there were too many performers on the night and some of them stayed on the stage for too long as well. It is good that Sadiq and his team have issued an apology for the mishap that prevented Shatta and others from performing and we hope that they will pick lessons to do better next time. OVERALL: 3Music Awards gets a 7.5 rating out of 10 from me, and that, my friend, speaks volumes of the efforts that Sadiq and his team put into this show. Kudos to all the people who dedicated their time on the board to shape this awards and to those who played various roles to execute it.